How to Crack SSC Examination Easily?Crack SSC & Get placed in Income Tax, CBI, etc. 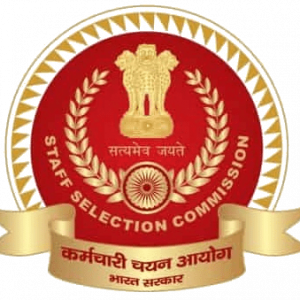 Staff Selection Commission, a Central Govt organization for Recruiting candidates for Central Govt positions like Inspector [Central Bureau of Narcotics], Inspector of Income Tax, Sub Inspectors [Central Bureau of Investigation], Tax Assistant [CBEC], Accountant/Junior Accountant, Assistant in Ministry of External Affairs / AFHQ / Central Vigilance Commission, Assistant Intelligence Bureau / Railways, Audit Officer [Indian Audit and Accounts Dept. under CAG], Assistant Enforcement Officer, Central Excise Inspector, Inspector Examiner, Preventive Officer in CBEC, Auditor [Offices under C&AG, CGDA, CGA] and Divisional Accountant [Offices under CAG], by conducting Competitive Examinations like SSC CGL, SSC CHSL, SSC MTS, SSC Stenographer and SSC JE, Other Exams to fill various posts in the various Ministries and Departments and Subordinate Offices of Government of India. Staff Selection Commission recently released the Annual Planner (or) Recruitment Calendar for the year 2019 – 2020 with more than 25 Sure Recruitment Notifications that are to be released in 2019 – 2020. Are you aware of the 60+ Central Govt Recruitments Exams conducted by SSC? RACE Institute, the Most Trusted Coaching Institute is spreading awareness for Central Govt Jobs by conducting Seminar Session on HOW TO CRACK SSC EXAMS? in RACE Coimbatore Branch. 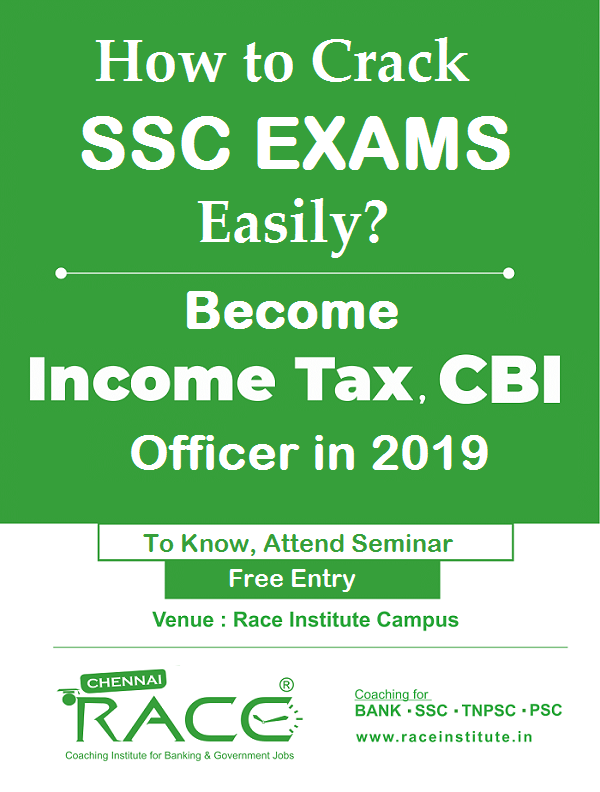 Attend the SSC Free Seminar Program on April 28, 2019, in RACE Coimbatore Branch. Our SSC Experts will be revealing SSC Central Govt Job Salary Packages & Benefits and provide UNKNOWN TRICKS & SHORTCUTS to Crack these Central Govt Examinations easily. Central Govt Officers a.k.a Ex-RACE Students to unveil their Practice Methods, Books & Materials, Online Examinations they have utilized to crack the SSC Examination. Aspirants attending this Free Seminar will be getting a handful of Study Materials which are very useful to crack SSC Examinations as disclosed here. These Materials are specially developed by RACE Institute Research Team for those attending the Seminar Program. RACE Institute, the Most Trusted and Pioneer Coaching Institute in India offering 100% working strategy to Crack SSC Examinations. The Coaching Methodology, Practice Programs, Materials & Handouts, Staff & Mentors and Special Sessions are the backbone of our Successes in SSC Examination. 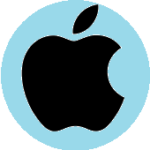 We are the Most Trusted Coaching Institute in South India with the Excellency in Training, that we prove by providing Original Results.